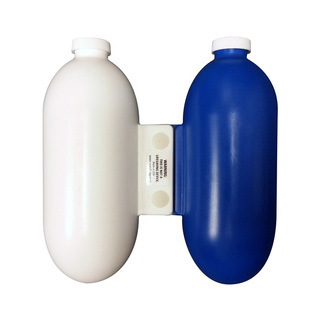 The Eney Buoy Training Pull Buoy is cleaner and more durable with an adjustable buoyancy! When the buoy is full it adds 7 pounds of resistance. When it is half empty and the bottom capsule is full, it stretches the psoas muscle. A muscle that is overused by triathletes, runners and cyclists. When the buoy is empty, you'll be fast and much higher in the water and your tempo will be increased all which are good for open water swimming. Great addition to your water workout!